I can't see the custom CSS option in new accounts any more. I can't see the custom CSS option in new accounts any more. Have you removed it? We have enabled the next generation of JotForm forms to selected New user account. That is the reason why you did not see the Custom CSS Code page. It is not available for now in the Card Forms. I hope that helps. If you have questions or need further assistance, please let us know. 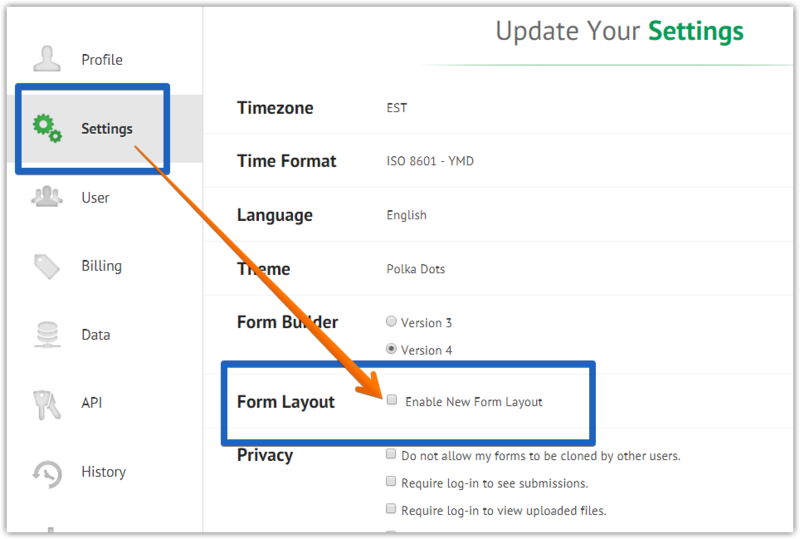 Update: After you disable the New Form Layout in the Account Settings page, you need to create a new form in order to take effect. If you need further clarifications, please let us know. Thank you.